While we all share certain nasal characteristics, certain ethnicities tend to exhibit particular nasal traits more than others. Learn about how these traits are considered when performing rhinoplasty for Asian, Hispanic, African-American, Indian and other non-Caucasian patients. Ethnic rhinoplasty is a term used to describe nose surgery for non-Caucasian patients. The procedure can accomplish a variety of objectives, from changing the angle of the nose or reshaping it to making it larger, smaller or in better proportion to the other facial features. Ethnic rhinoplasty can also be performed for functional reasons. Performing rhinoplasty on an “ethnic” patient is not a matter of taking the standard procedure and “balancing” it with ethnic features. In reality, ethnic rhinoplasty and Caucasian rhinoplasty are two completely different procedures. In fact, each ethnic rhinoplasty procedure differs not only from Caucasian rhinoplasty but also from ethnic rhinoplasty performed on other ethnic groups. The reason for this is that each ethnicity (Caucasians included) has different skin and nasal structure characteristics that require different approaches to surgery. For example, while Caucasians typically have thin skin that does not respond well to manipulation, this is not the case with many ethnic patients, who have thicker, more malleable skin. The upshot of all of this is that if you have ethnic rhinoplasty, your procedure will be tailored to your individual ethnic heritage and individual circumstances. Asian Rhinoplasty.Asian patients often have flat, undefined nasal bridges and wide nostrils. Some also have undefined nasal tips. As a result of these features Asian rhinoplasty often requires augmentation, as opposed to reduction. Using special techniques, the surgeon can narrow the nostrils and make the nasal bridge more prominent. Indian Rhinoplasty. Indian patients present with an array of different complaints, including bumps, a droopy and/or undefined tip, thick nasal skin, wide nasal profile or simply a nose that is too big. To address these concerns, the surgeon may make alterations such as reducing the bump or inserting cartilage grafts for definition. African American Rhinoplasty. African American patients often complain of a flat or low bridge. The surgeon can insert nose implants on the nasal bridge to augment it and create the impression of height. Another common technique performed on African American patients is alar base reduction to reduce the nostrils. In some cases, reducing the nostril sidewalls and narrowing the nostrils can also make the nose more symmetrical. Middle Eastern Rhinoplasty. Typical features of the Middle-Eastern nose include a high dorsum, droopy nasal tip, pronounced nasal hump and acute nasolabial angle. Some Middle Eastern patients complain that their nose looks too long. Any number of techniques may be used to correct these issues. The goal of Middle Eastern rhinoplasty is often to achieve a nose that looks better from the profile and is in better harmony with other facial features. Hispanic Rhinoplasty. Perhaps more so than any other group of rhinoplasty patients, Hispanic/Latino rhinoplasty patients present with a vast variety of nasal characteristics. This is due to the large number of potential ethnic influences a Hispanic may have, from Spanish and Portuguese to African and Indigenous American. However, in many cases, Hispanics have noses that are wider than the average Caucasian nose and narrower than the average African nose. Hispanics often have thick skin, wide nostrils and a relatively bulbous nasal tip. Alterations commonly made during Hispanic rhinoplasty include reducing the length of the nostril sidewalls, narrowing the nostrils and other actions. The goal of any rhinoplasty procedure — ethnic or otherwise — is to create harmony, symmetry and beauty. With ethnic patients, this means changing certain features while preserving their unique ethnic traits. Tools such as imaging software are often useful in determining the right balance and harmony. When it comes to cosmetic surgery, realistic expectations are always important. The patients who are most often unsatisfied with the outcome of ethnic rhinoplasty are those who had unrealistic expectations going into it. This is something surgeons pay particularly close attention to with ethnic rhinoplasty, because, unfortunately, a good number of prospective candidates have goals that are incompatible with their ethnic heritage. 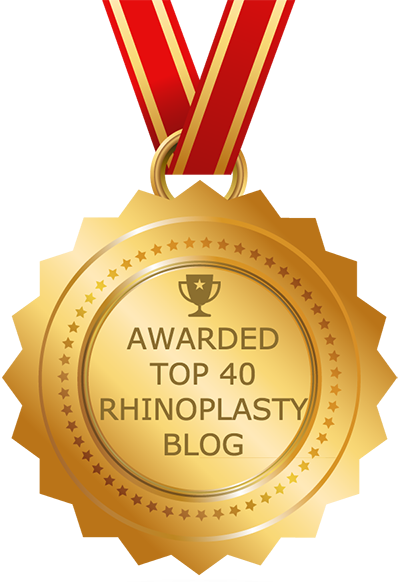 Rhinoplasty can only go so far in helping you achieve your aesthetic goals. How do you know if you have unrealistic expectations? If you are seeking a procedure that will transform you into another person or transform your life in fundamental ways, rhinoplasty is not the solution — nor is any cosmetic surgery. Also, rhinoplasty is not a cure for depression or any other psychological condition. What rhinoplasty can do is enhance your appearance and (maybe) give you a boost in self-confidence. The best way to get a result that you will be thrilled with is to hire a well-qualified surgeon. It is important that you select a board certified facial plastic surgeon that specializes in rhinoplasty and has experience performing ethnic rhinoplasty procedures as well as other forms of nose surgery. A great place to start is the website of the American Academy of Facial Plastic and Reconstructive Surgery (AAFPRS).